White Wedding 2 Now Available! 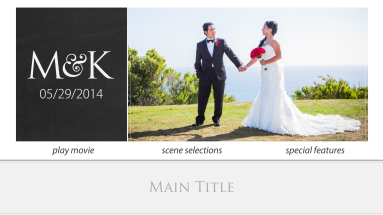 Our most popular wedding template just got better! This is a new and improved version of our White Wedding and True Romance templates, fused into the ultimate wedding design! This edition features a fully modernized and refreshed cover and label design guaranteed to impress. We’ve improved the menu customization with the ability to select anywhere from 1 to 8 scene selection boxes. It also features easy color adjustments, video or still image Drop Zones, and seamless menu transitions with sound effects. Announcing the release of Pro Motion Menu Kit 17: Serenity! What a perfect name for this simple and serene design. Everything fades and slides so smoothly, you are left in a peaceful and mesmerized state of mind. Works great for weddings and just about everything else. 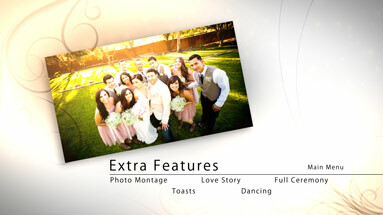 Our latest Pro Motion Menu Kit 16: Sentimental Moments is now available! Your clients and viewers will love this “sentimental” design complete with animated flourishes, subtle particles, soft flickering lights, and seamless transitions. The default colors are neutral for a variety of projects, but can be completely customized for your branding or event. 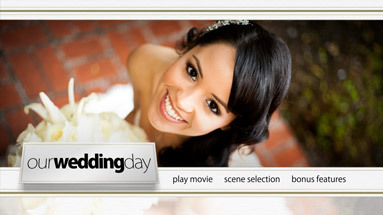 This template works great for weddings, birthdays, Bar/Bat Mitzvahs, corporate, and more. Simple, elegant, and versatile. Perfect for most projects.